favorite fantasy. I believed my main character, Karen, was fictional, but with hindsight I realize she was me. Once started, the ideas flowed thick and fast and before the end of one chapter, the next would suggest itself. I did some additional research but even so slipped up on a couple of things that the editor later spotted, for instance the Romans had no tomatoes: they were brought to Europe from America centuries later. astonished to be contacted by a private publisher last year, wanting to re-issue it. However, when I look at it again, I’m surprised how good it is, and friends of mine are now begging for copies and reading it themselves. These days I’m a Speech and Language Therapist, but I’ve had a variety of jobs, including teaching English to foreigners, working in a bookshop, leading pony treks in the Welsh Mountains and running riding holidays in the Scottish Borders. I’m an outdoor person at heart, love animals, wild places and wine. I have two sons who are the best thing in my life, even though when I was younger I thought I didn’t want children. If you want to write, just sit down and get on with it. Then go over what you’ve written, reduce and condense by at least a third, delete the word “I” wherever possible, and don’t stick to a strictly chronological order of events. Inspired by historical novels, which was Lynne Ellison’s favorite reading material for many years, she created a Masterpiece of historical adventure. This novel fills the pages with fantasy as it takes the reader on an amazing journey, after Karen looks into an ancient mirror that she found buried on the beach, and is transported back in time to the Roman Empire. What trials and tribulations must Karen face, during her struggles to return to her own time? I highly recommend this book to all fantasy lovers, children, and young adults. The adventure is breathtaking, the story is spectacular, and the unique characters come to life. The last thing Karen remembered was glancing into the mirror, while daydreaming, what happened to the island, and where did she wind up? How many years did the mirror take her back in time? Who asked Karen if she was a runaway slave, and where did he take her? What was Darvus ordered to do for Karen? Who was Cordella, and what did she give Karen? Where did Karen meet Kleon? Who bought Karen, and where was she going, after the auction? Where did Karen meet Locusta, and how did Locusta hide from the soldiers? Did Locusta’s magic help Karen find her way through the dark passages? Does Karen find her way back to where it all began, and is there a happy ending? Find out the answers in this breathtaking adventure as we follow Karen to see if there will be light at the end of the tunnel. 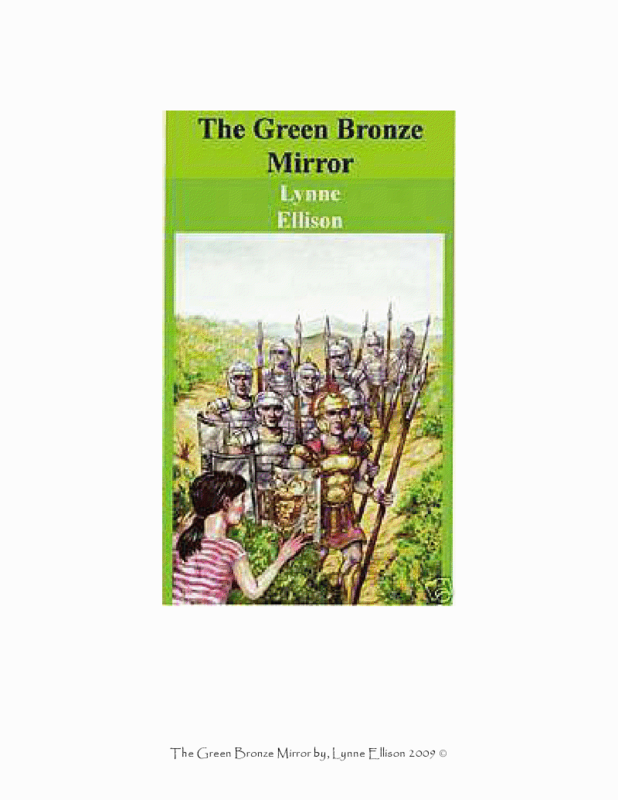 “THE GREEN BRONZE MIRROR” is as mysterious as LEFT BEHIND and as captivating as Steven Spielberg’s, THE GOONIES. Congratulations, Lynne, on having your book re-issued. Thanks, Ransom, for bringing this book and author to our attention.